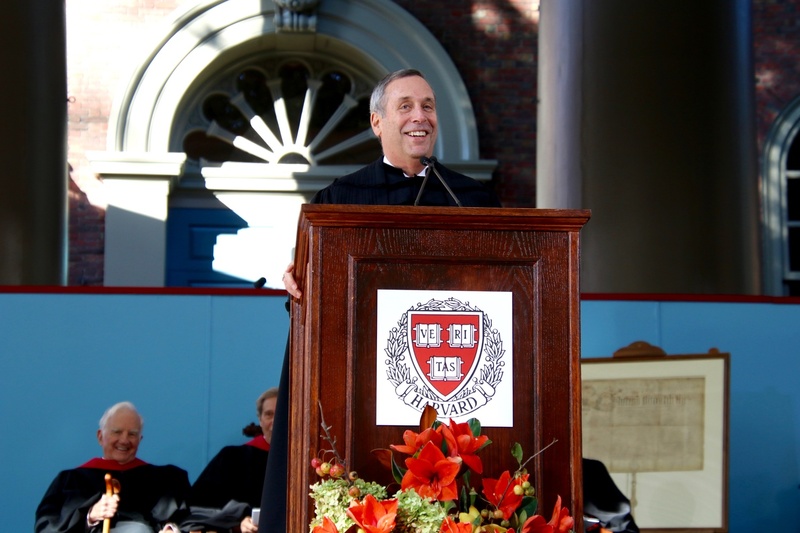 University President Lawrence S. Bacow at his inauguration in October 2018. The College launched the review Feb. 26 after students and faculty criticized Sullivan’s decision, arguing that Sullivan’s representation of Weinstein — who currently faces multiple allegations of sexual assault — is incompatible with his role as a faculty dean. Bacow said Friday that he is in favor of the College’s efforts to gather more information. Bacow’s statements Friday marked the first time the University president has commented publicly on Sullivan since his decision to represent Weinstein first sparked criticism from students on campus. The New York Post first reported Sullivan would join Weinstein’s legal team on Jan. 23. Two days later, Sullivan wrote an email to Winthrop House residents defending his decision by saying that defense attorneys have a duty to represent the “unpopular defendant.” Sullivan and co-Faculty Dean Stephanie R. Robinson wrote another missive days later announcing new “processes” they would implement, including appointing Resident Dean Linda D.M. Chavers as the “point person” for sexual assault issues in the house. In the weeks following Sullivan’s announcement, students wrote open letters and held protests, calling on the College to remove Sullivan from his Faculty Dean position. Winthrop House was also vandalized, with messages including “Down w Sullivan” were spray-painted on the House’s exterior. Dean of the Faculty of Arts and Sciences Claudine Gay weighed in on the debate and called Sullivan’s response to students’ concerns “insufficient” in a February interview with The Crimson. The College launched a climate review of Winthrop headed by former Dean of Freshmen Thomas A. Dingman ’67 in the wake of student criticism. As part of the review, Winthrop students received an online survey about their experiences in the House. Bacow said Friday that though he has received updates from Khurana and Gay about Sullivan and Winthrop House, he is not directly involved. Citing his distance from the issue, Bacow also did not directly answer whether he believes Sullivan has properly handled communicating his representation to Winthrop students.